to lounge or not to lounge? To lounge of course. Subversive satire and scintillating swing! Songs from the golden era of the Rat Pack – all your favourite Vegas favourites popularised by Sinatra, Peggy Lee, Ella, Dean, Bobby Darin, Nat King Cole etc…sung by our cast of thousands including James Cameron, James Tait Jamieson, April Phillips & Andrew London. Sunday lounge at one of Wellington’s finest waterfront dineries! Haven’t been here for ages! JTJ joins us for multi-instrumental mischief. Scintillating swing and subversive satire. 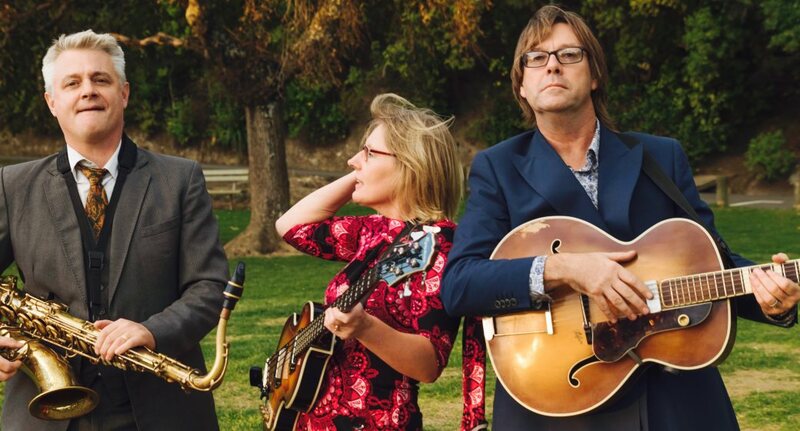 Darlings of the NZ jazz and folk festival circuit, the Andrew London Trio present a fun-filled and irreverent romp though Antipiodean society’s foibles and obsessions, making fun of everything from sports fans and pretentious socialites, to politics and the generational divide, but mostly themselves. See also Jason Downes Entertainment.